In addition to a 30+ year long coaching career, Joy, 58, is a champion athlete in her own right. Beginning at Acalanes High School in Lafayette setting records in hurdles & sprints and into college with an All-American career at California State University, Joy has continued to set records at USA Masters Track & Field Championships and win competitions internationally. Joy holds several American Record times in 80 meter hurdles & 300 meter hurdles and the long jump. She has held the Indoor World Record in the Long Jump, 200m & 60m hurdles. She is the 2013 World Outdoor 100 meter & 80 meter hurdle Champion in her Masters group, Women 50-54 , which was contested in Porto Alegre, Brasil. In Budapest, Hungary, she captured the 2014 World Indoor Championship events of the 200m, 60m hurdles and anchored the 4x200m relay for Team USA- a new American record. During the 2016 USA Indoor Masters Nationals Championship, she set the Women’s 55-59 60m Hurdle World record. During the 2016 World Championships in Perth, Australia she won both hurdle events and the long jump. 2018, she lowered her American 80m hurdle record at the Masters Outdoor National Championships. She also won a highly competitive 200m final at the Outdoor World Championships last summer in Malaga, Spain. Her most recent honor includes being inducted into the Masters Track Hall of Fame and Master of the Year! 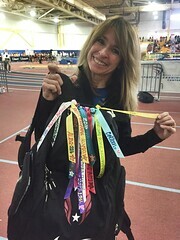 Even with all these accolades, she has learned to be humble and respectful to her teammates, competitors and officials… often handing out stickers or her hand painted ribbon gifts to all! A new addition to the Jack Rabbits program is a competitive Masters Elite group. The team finished 10th out of 109 teams at the 2018 Masters Outdoor Championships! 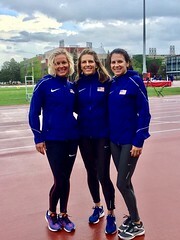 Their scoring events included hurdles, long jump, triple jump, javelin, 100, 200, 400, heptathlon and a 4X100m Relay Women’s age 55-59 American Record! 2019 Indoor Season proved to be exciting too: another American Relay record for the speedy 4X200m W55-59 team! 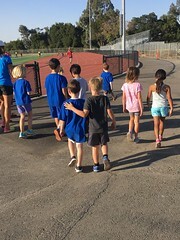 Coach Joy’s Philosophy is to share her love of Track & Field: to teach, coach, represent, support, influence and inspire those to learn and participate in this great sport! Joy’s coaching career began at Los Gatos High School in 1983, and includes coaching assignments at Hawaii Prep Academy on The Big Island (1990-1995), Menlo College (1996-1997), the University of California at Berkeley (1997-2004) and as head coach for the U.S. women’s team at the DecaNation Championships meet held in Paris in 2006. Other National Team Staff honors were earned by Coach Joy when she was named the Women’s Sprints & Hurdles coach of the 2010 NACAC U23 team, the 2011 Pan American Women’s Team Staff for Jumps & Multi Events in Guadalajara, Mexico, and 2013 Five Nations Match USA Women’s Head Coach in Glasgow, Scotland. In 2005 & 2006, Joy assisted in coaching her sister Grace. In 2005 Grace was ranked #2 Long Jumper in the World! Most recently she was honored a Coaching grant to Mentor the famous Coach Vince Anderson, during the Olympic Trials. Many of her athletes have excelled under Coach Joy’s tutelage. Her passion & knowledge of the sport, fuels the athletes to immediate improvement! Her credentials include a Bachelor of Science in Kinesiology/Dance and a Masters of Science in Human Performance. She has also completed the USATF Level 1, 2 & 3 Coaching Certification Program and the IAAF Academy Elite Coach Level 5 Program at the Olympic Training Center. She continues to add to her resume, by staying current in track & field training tips/programs from respected colleagues and high performance coaches of the USA and around the world. In addition to coaching the Jack Rabbits and private coaching assignments, Joy is currently a technical assistant coach at Gunn High School in Palo Alto, CA; Monte Vista in Danville, CA; Piedmont High, CA and her alma mater, Acalanes High School in Lafayette, CA. Joy also has served as Chair of Race Exhibitions of the executive committee for USA Track & Field Masters, and has held the Masters Track & Field chair of the Pacific Association/USATF for 8 years. Joy comes from a Track & Field family. 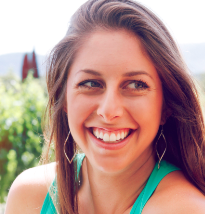 All her siblings: Chip, Merry & Grace competed in track & field at Acalanes high school and their respected colleges. Most notably, her father, Monte, broke Jesse Owens’ national high school long jump record in 1954, (25’4 1/4″), and her sister Grace competed in the Long Jump winning 4 National Titles and competed in the 2004 Athens & 2008 Beijing Olympics!!! Sunny is a founding member of the Jack Rabbits, joining the club at age six! Sunny represented the Jack Rabbits in competition for eleven years. Competing for the Gunn High School Varsity Track Team, Sunny was the 2008 Sophomore, 2009 Junior and 2010 Senior Athlete of the Year. She was a top finisher in the Central Coast Section Championships in the 100m hurdles, 300m hurdles and the Long Jump. She was 2009 CCS LJ Champion (18’10″) & qualified for the ’09 California State meet in both the 300m hurdles and Long Jump. Her Track & Field accomplishments earned her a Track Scholarship to CAL! Sunny graduated from UC Berkeley in December 2014. 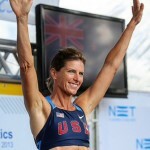 She is a USATF Level 1 Certified coach and has many years of experience coaching Track and Field. 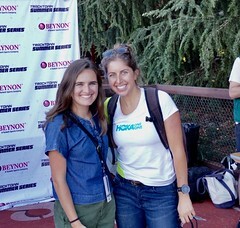 Sunny is now Product Line Manager for HOKA ONE ONE – managing HOKA apparel and footwear collaborations. HOKA ONE ONE is a running shoe company. Windy is a founding member of the Jack Rabbits, joining the club at age one! She is now a sophomore at UC Berkeley and was recruited for the CAL track & field team. In 2018, she competed in the PAC 12 Championships in both the Long Jump and the 100m hurdles! As a youth competitor, Windy’s Jack Rabbits relay team were the 4X100 Meter winners in the 2009 Hershey Track and Field Regionals in San Jose. 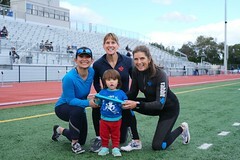 In Stanley Middle School, Windy’s events included sprints, relays, long jump, triple jump & high jump. She holds the 6th Grade Girls 200 Meter School Record in 29.6! She helped to lead her 7th grade team to win the Overall County Championship. 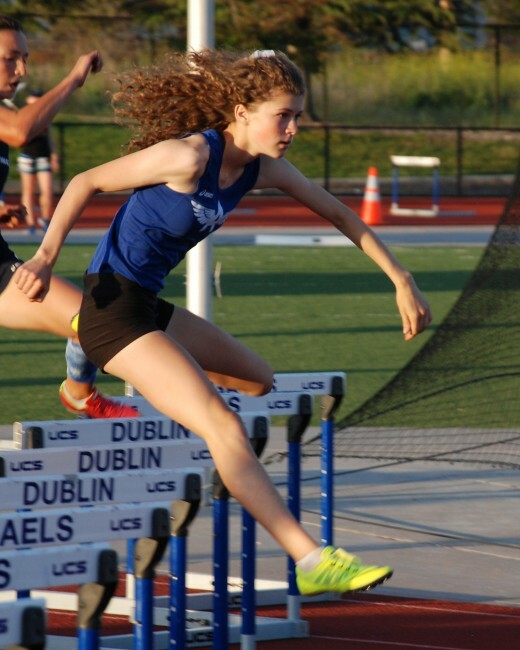 In 2013, a highlight was winning the 8th Grade 100 meter for the League/County Championship and receiving The Coaches Award for Sportsmanship, Devotion & Attitude from her school! As a freshman at Acalanes HS, Windy set the 100m Hurdle Record, and it was only her second time ever racing it! As a High School 2017 senior, she won the NCS in the Long Jump with a jump of 19′ 1 3/4″, while being coached by her auntie Grace! A 4 year team captain, she is on the leaderboard in many other events: Triple Jump (35’7.5), both hurdle races, anchored the school record 4 x 100m relay and broke her own school record in the 100m hurdles running 14.47! She contributes her success to learning from Jackrabbits! She knows how important good running form & technique are-but also the importance of good sportsmanship: thanking officials, meet directors and congratulating your competitors. Yay! Windy is very experienced in Track & Field. She has traveled to many meets including Helsinki & Beijing to watch her Aunt, Grace Upshaw, in National Championships, World Championships & the Olympics. Windy is a USATF member and has been a Jack Rabbits junior coach since 2008.